There are several reasons why you should do a private tour in Iceland. You might also want to travel on a scheduled, organized tours with other travellers or rent a car and drive yourself around the island. We want to tell you about the optins, based on our long experience. 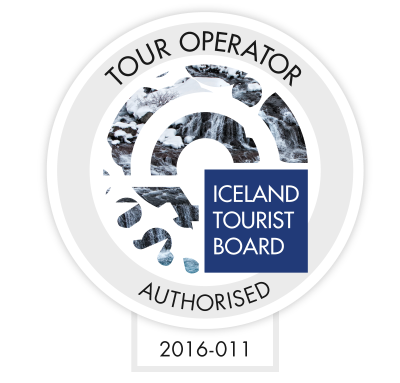 When travelling in Iceland on a private tour you have all the flexibility you want, and that is probably the best benefit. You might decide to change the itinerary or shorten the day and arrive at the accommodation earlier than planned. There is always the risk that your tour operator has over-planned the day (we´re guilty!) because he’s concerned that you have all the experience possible for your money! And you arrive at the hotel around or after 7 pm, exhausted. In a private trip you can always revise, amend or cancel whatever you want. What should I see, visit, experience? The answer to this question depends on how much time you want to spend in Iceland and your priorities, interests, your phisical strenght and how much of Iceland you want to visit. We normally recommend for those coming to Iceland for the first time, to visit the South coast. You’ll probably be staying in Reykjavík and the South coast is close to Reykjavík and easily accessible. The socalled Golden Circle is included in a South coast tour. A few glaciers are on the South coast, allowing visitirs to see them, hike on them, snowmobile on them and thanks to them there are many beautiful waterfalls and glacial rivers as well as huge sand beaches on the South coast. There is no mountain road between Reykjavík and the Jökulsárlón glacier lagoon making it easy to travel all year round. There is a variety of places to visit on the South coast. and this list is far from being final. Most travellers prepare for their visit to Iceland and they name some of these places above. The challenge for your tour operator is to not only show you the places you ask specifically for, but to take you to places you´ve never heard of and where there are very few visitors. Doing a boat tour on the Jökulsárlón glacier lagoon. Most travellers plan their trip to Icaland for 7-8 days. You can do the South coast tour as described above. But you can do a lot of other things, like visiting the highlands of Iceland, the unbeaten path where very few tourists go. What if I want to avoid the crowd? You can visit other parts of Iceland, either by domestic flight to the north side (there are several flights a day to Akureyri, the town of the north) or to the West Fjords. If you choose the West fjords (4 hours drive from Reykjavík or 40 min flight from Reykjavik to the town of Isafjordur) you gain both spectacular nature and the unbeaten path, much fewer travellers than elsewhere in Iceland. The West Fjords are well kept secret. Almost. Are you ready to start planning your trip? You can plan your trip with us, you can send us a request and we can help you and answer to all the questions you might have.